Fawzia Al Sindi was born in 1957 in Manama City, Bahrain, and holds a degree in commerce from the University of Cairo. She has published six collections of poetry in Arabic, including Rahinat Al–Alam [Hostage to Pain] (2005), Malath Al–Rooh [Refuge of the Soul] (1999), and Akhir Al–Mahab [End of the Horizon] (1998). Her poems have been translated into several languages, and she has attended poetry and literature conferences and workshops in the Middle East, Europe, and North Africa. 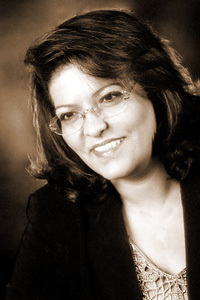 Al Sindi has been a columnist and a contributing editor for a number of periodicals and magazines, including Kalimat and Al–Bahrain Al–Thaqafeya, and she is a member of the Bahraini Association of Writers. She is well known as an activist and is among the first Bahraini women who sought their education abroad.